May take 10 seconds to load. Make sure your speakers are on. Experience LA-3 for yourself. 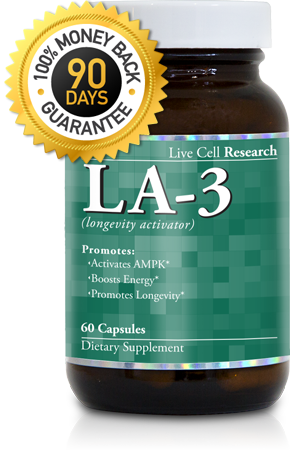 For the first time in history, you have the chance to boost your levels of AMPK – the “master switch” which regulates many of the causes of aging in your body. Users have reported maximum benefits after a few months of continued use. And that's why we're offering you a chance to save with multi-bottle packages.